Proximal interphalangeal (PIP) joint active motion can be affected by any trauma that occurs to the surrounding tissues. Even trauma that occurs more proximally at the wrist joint can negatively affect an individual’s digital motion resulting in the loss of PIP motion. Wrist and finger fractures, dislocations, ligament tears, synovitis, oedema and other soft tissue injuries can cause stiffness and loss of motion at the PIP joint, especially loss of joint extension. A recent systematic review published in the Journal of Hand Therapy has examined the effectiveness of different orthoses for regaining full proximal interphalangeal (PIP) joint extension. Clinicians typically recommend the use of orthoses as a conservative treatment to help patients regain PIP motion after injury. 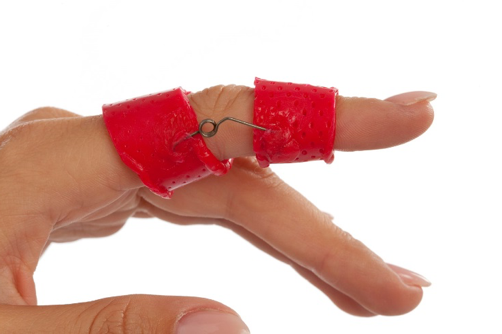 The goal of this treatment is to regain active PIP motion and full use of the fingers for functional activities. The authors of this review examined different types of orthoses commonly prescribed for PIP extension, the wearing schedules of these orthoses and outcome measures used to evaluate this intervention. 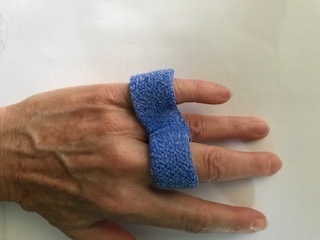 A static immobilization PIP joint extension orthosis worn at night. 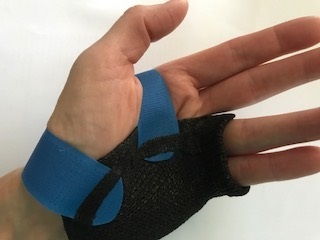 A custom-made dynamic PIP joint extension orthosis (Capener style). A custom-made dynamic PIP joint extension orthosis (daytime) and static PIP extension orthosis (night time). 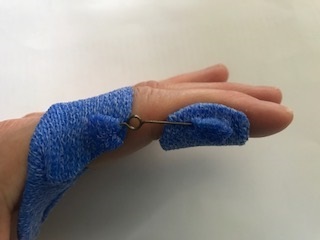 A custom made metacarpophalangeal block orthosis to promote PIP extension by keeping the MCP joints positioned in flexion. The outcomes gathered in the clinical trials included primarily active range of motion measures. The authors of this review also suggest that it may be important to gather functional outcomes, patient satisfaction regarding the functional outcomes, and also patient input on wearing the orthosis and its effect on their daily routines. Make sure the orthosis is worn for at least 6 hours per day for a duration of 8-17 weeks. 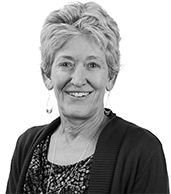 Discuss patient satisfaction with the orthosis and use a client centered approach to the treatment. The force should be low enough that it is felt by the patient, but it should not cause pain. Monitor the wearing schedule for best results. 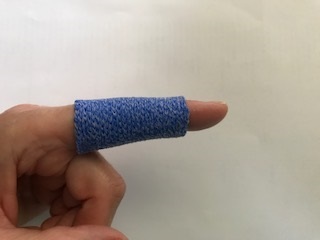 The patient should do active finger exercises along with orthotic wear. Inform patients of possible symptoms of too much force, including swelling, tingling, colour changes, etc. The orthoses described in this review article have been recreated here with Orfit materials. We added a relative motion orthosis (yoke orthosis) to the selection as this orthotic design encourages active PIP joint extension when the MCP joint of the involved digit is held in flexion. PIP Extension Orthosis- Static Immobilization: Use Orficast 3 cm/ 1” (wrap around method) or Orficast 6 cm/ 2.5” or Orficast More 6 cm/ 2.5” for the pinching method. Valdes, K., Boyd, J. D., Povlak, S. B., & Szelwach, M. A. (2018). Efficacy of orthotic devices for increased active proximal interphalangeal extension joint range of motion: A systematic review. Journal of Hand Therapy. 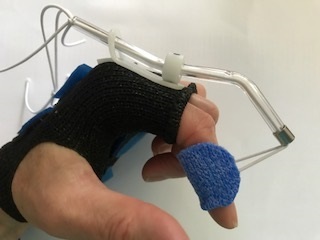 A recent study published in the Journal of Hand Therapy reports on the use of two different designs for trigger finger orthoses.